The Aboriginal and Torres Strait Islander Child Placement Principle (ATSICPP) is the cornerstone of Australian law and policy acknowledging the importance of family, cultural and community connections to the identity and wellbeing of Aboriginal and Torres Strait Islander children who come into contact with the statutory child protection system. SNAICC remains concerned that implementation of the ATSICPP remains grossly inadequate to promote and respect the rights of our children to family and cultural connection. Prioritising placement of Aboriginal and Torres Strait Islander children in order, with their Aboriginal and Torres Strait Islander family, community, or other Aboriginal and Torres Strait Islander families, where such placement is safe for the child.  Requiring consultation with Aboriginal and Torres Strait Islander families, communities and organisations about child protection intervention, and child placement and care. The principle is based strongly on the presumptions that removal of an Aboriginal and Torres Strait Islander child from her family should be an intervention of last resort, and that reunification of a child that has been removed must be a high priority. SNAICC is undertaking work currently to bring clarity to the definition of the ATSICPP and the detailed measures necessary for its full implementation. SNAICC is considering particularly the existing measures to support and monitor compliance and ensure accountability for governments and decision-makers charged with implementing the Principle. SNAICC is working towards the development of a national strategy and specific actions to promote the full implementation of the Principle.